How Many Advertising Blimps Are In The World? This number varies depending on who you ask. The general consensus is that there are between 20 and 25 blimps in the world today, but most of them are not in operation. Van Wagner Airship Group owns and operates eight of the approximately 13 active advertising blimps in the world including the MetLife Blimps. When Did MetLife First Start Flying Blimps & How Many Are There? 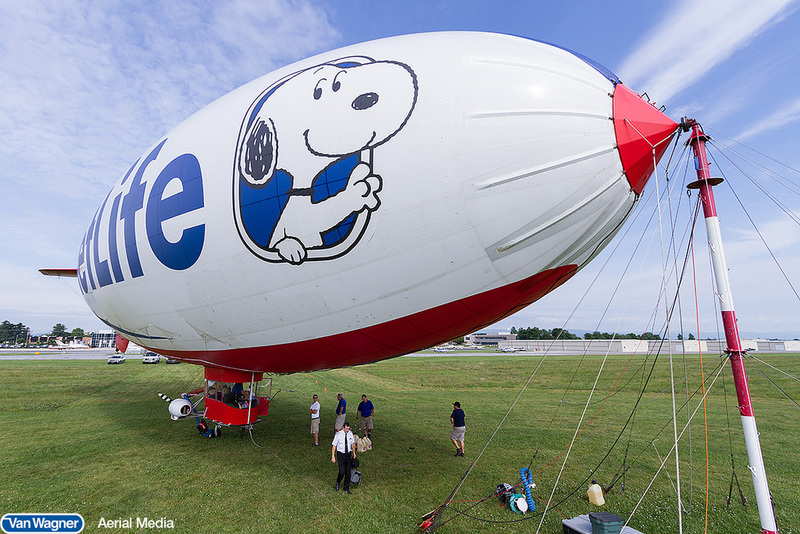 MetLife’s first blimp, Snoopy 1, launched in 1987 and rapidly became a common fixture at golf and other and sporting events, as well as news and special events. In 1994, MetLife expanded their blimp program to include Snoopy 2. 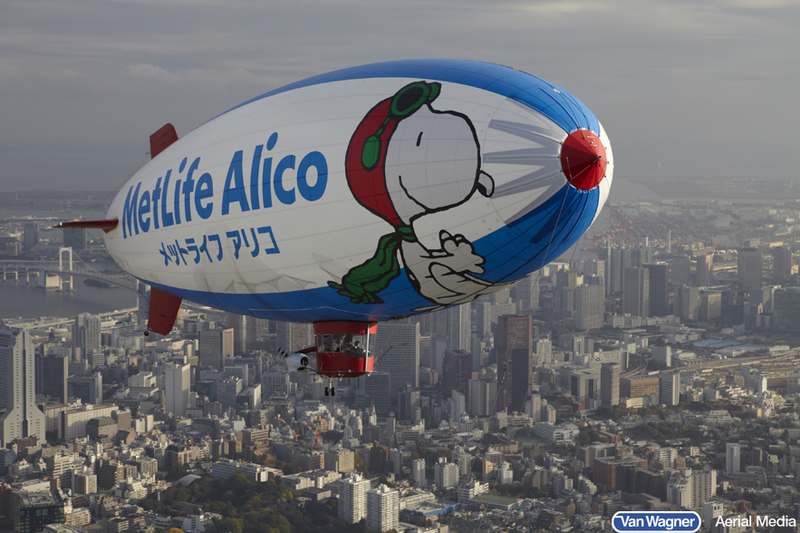 There are three MetLife blimps total: Snoopy 1, Snoopy 2, and Snoopy J. Snoopy J launched in October of 2010 in Japan, capturing the attention of millions of residents. It covers special community events more often than major sporting opportunities. How Does The MetLife Blimp Work With Television? 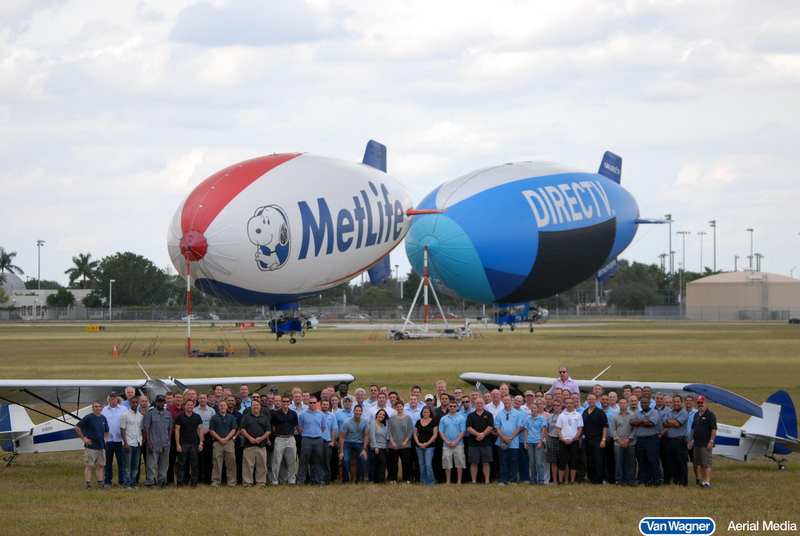 Since 1987, the MetLife blimp has provided aerial broadcasting coverage for a variety of television outlets. It is most commonly known for covering the PGA Tour, the PGA Championship and other golf tournaments, but it also provides coverage for NFL, NBA, MLB, and USTA games. The blimps ability to slowly cruise above the ground provides an ideal environment for a clear, steady video capture. To learn more about the cameras capabilities, click here. 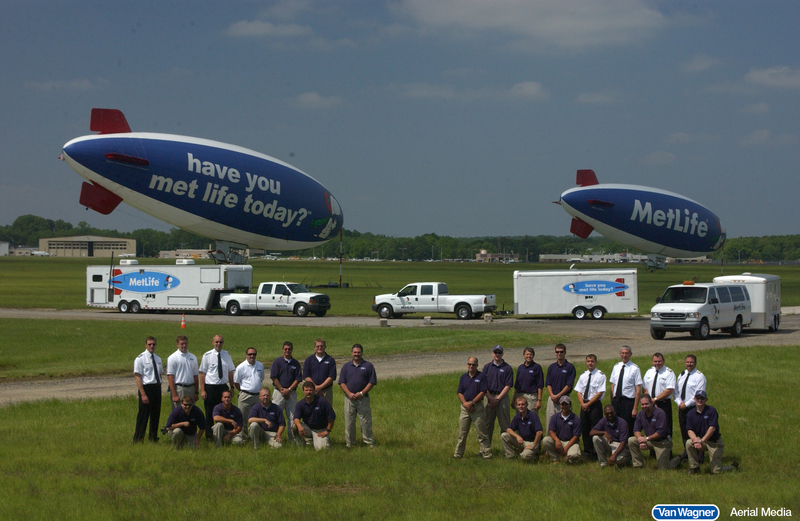 Is MetLife The Owner And Operator Of The Blimps? No, Metlife currently leases their three blimps from Van Wagner Airship Group, the airship and blimp division of Van Wagner Communications LLC. Van Wagner Communications acquired the previous owner of the MetLife blimps, The Lightship Group and the American Blimp Corporation in September of 2012. This acquisition distinguished Van Wagner Communications, and the newly formed Airship Group as the premier provider of blimp advertising services in the United States and the world. Who Flies The MetLife Blimps? We have a roster of pilots that have been specially trained and certified to fly a blimp. It takes a team of two pilots and twelve crew members to keep the blimp in operation. Together, the pilots and the ground crew travel approximately 120,000 miles per year and cover approximately 70 events. Can The MetLife Blimp Fly Over My Event? Yes, fill out the Blimp Event Request Form and a representative will get back to you shortly. Please keep in mind that the MetLife blimp has a jam packed schedule during sports season, but we do try to accommodate as many requests as possible. There is no cost associated with a flyover. Requests are subject to the availability of the blimp. How Can I Rent a Blimp From Van Wagner Airship Group? If you would like to lease a blimp from Van Wagner Airship Group, please contact us here. One of our representatives will discuss blimp advertising cost with you and and draw up a blimp rental contract. Blimp leases are typically a long-term investment, serious inquires only please. If you're interested in aerial advertising services, but aren't ready for a blimp rental investment. Visit our capabilities page. We offer aerial banner advertising, sky writing , helicopter advertising, among other options. Click below for a free quote! We look forward to hearing from you!